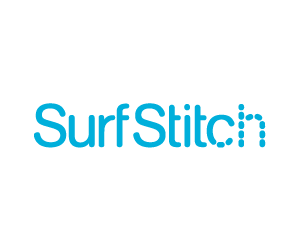 SurfStitch is Australia’s largest online retailer and the world’s largest online action sports and youth apparel retailer. It has been providing shoppers from around the world with a high quality and unique experience and is home to over 400 brands.s Co focuses on delivering the best in youth culture to Australia; we aim to be recognised as the cutting edge purveyor of youth fashion and style internationally. Some retailers have their own policies and restrictions. Before shopping, please ensure you review the Special Terms of Surfstitch (above) for further information. Complete your purchase in one session and without leaving Surfstitch. Do not click on any bookmarks or advertising banners or links once you leave ANZ Bonus Points Mall. Free Regular Shipping (signature required) for orders over $50. Orders placed before 2:00pm AEST should be received within 1-5 business days. Free Express Shipping (no signature required) for orders over $50. Orders placed before 2:00pm AEST in Metro areas should be received the next business day. This service takes 2-3 business days to most other areas. We accept Visa, MasterCard, American Express and PayPal. You can also pay via Visa Checkout and Afterpay (AU customers only). SurfStitch is committed to customer satisfaction- if you receive any merchandise that you are unhappy with for any reason, simply return it to us within 100 days (30 days for sale/outlet items), in the condition that you received it and we will happily exchange size or refund. We will also ship your size exchange request back to you, for free.